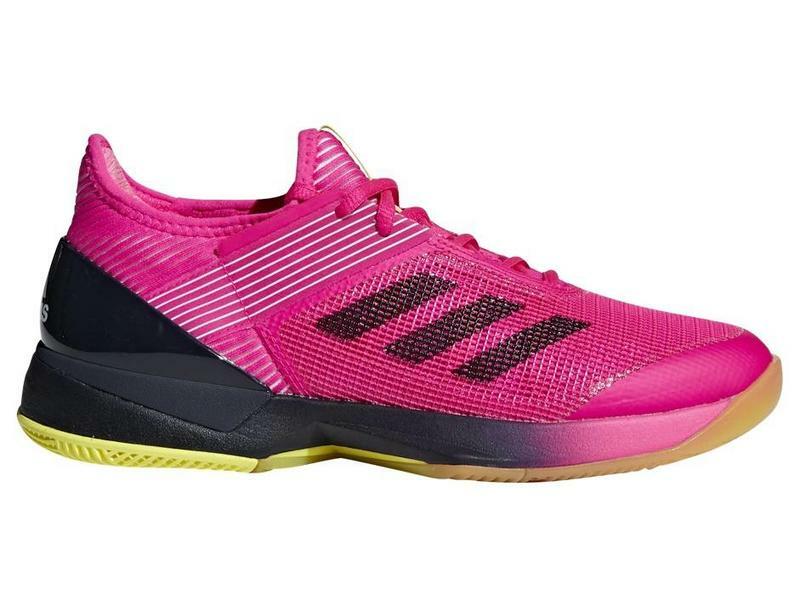 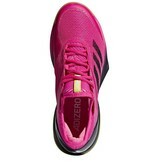 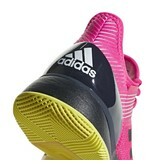 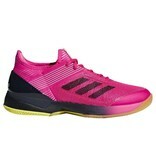 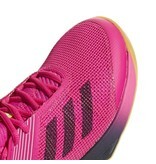 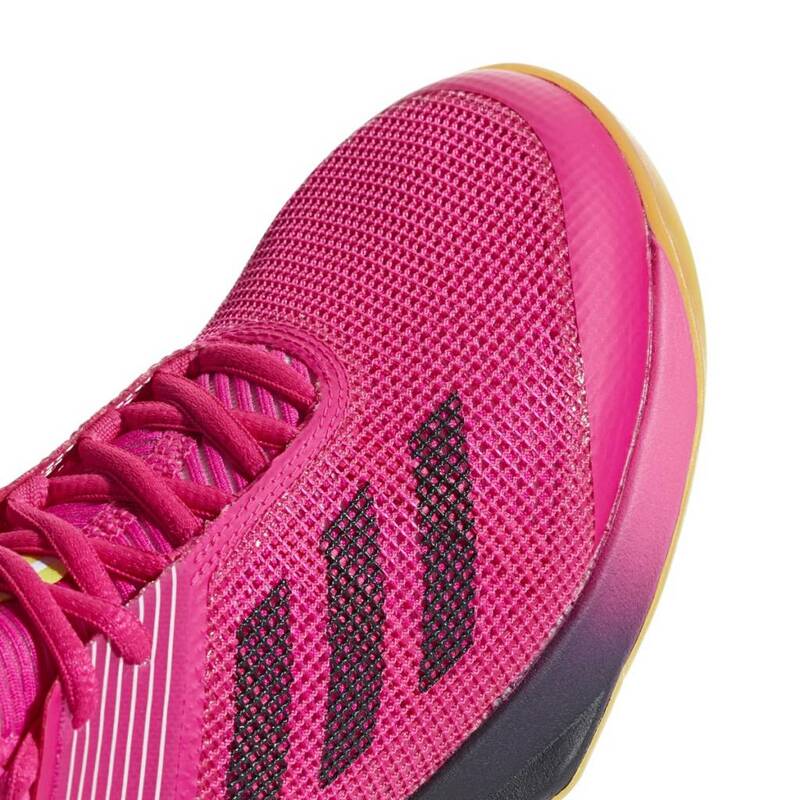 adidas adizero Ubersonic 3.0 women's all court shoe in pink & ink navy is one of the lightest shoes on the market, and a favorite here at TennisTopia. 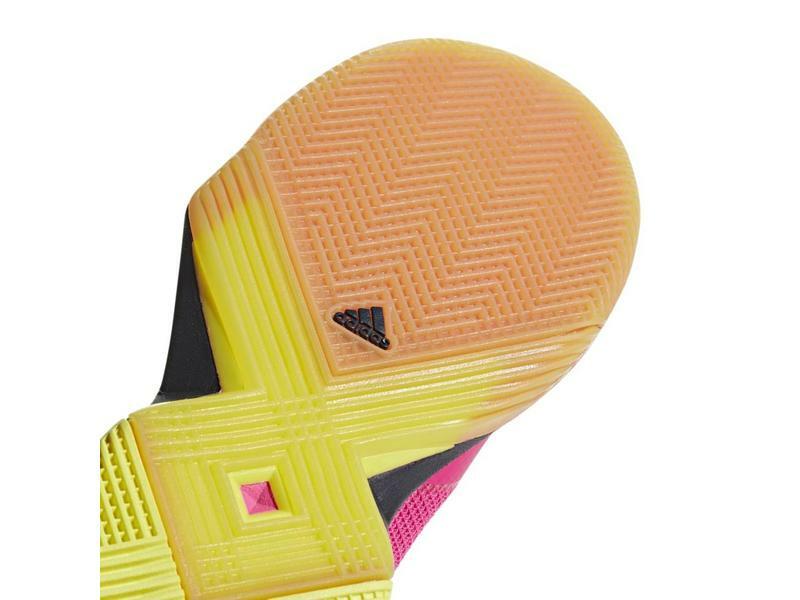 This tennis shoe provides speed and breathability when you need it, regardless of the surface. 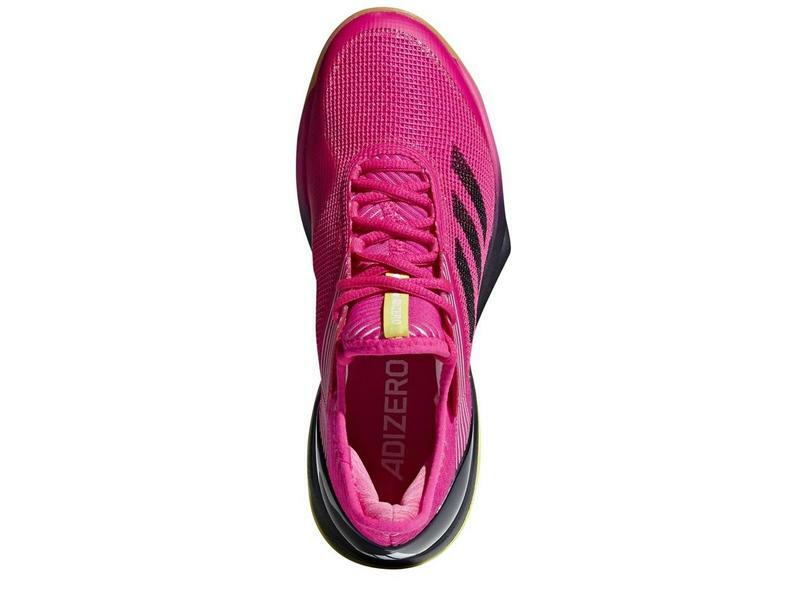 The seamless bootie gives you assurance of stability with a tight fight around your upper foot and ankle. 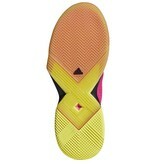 It's snug fit still allows your feet to keep cool with its lightweight mesh upper construction. 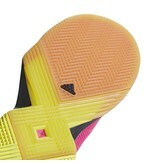 Being worn by former world no. 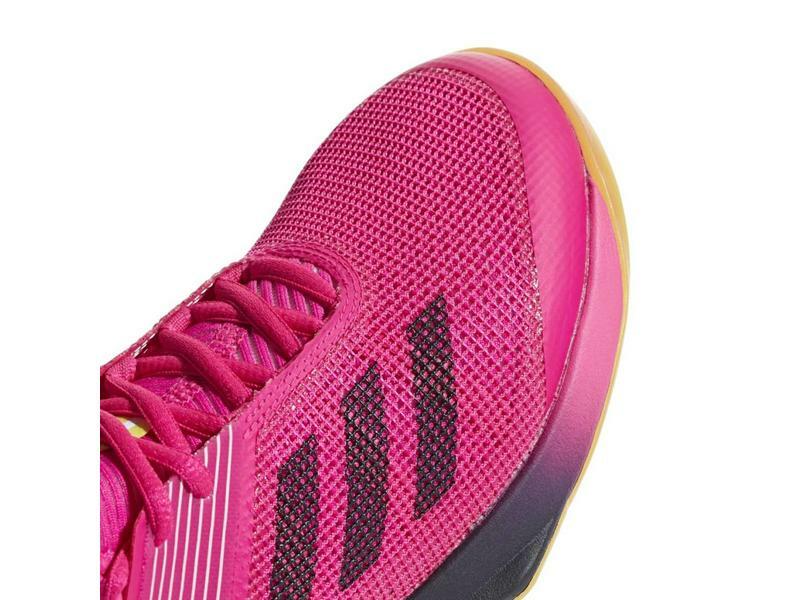 1 Angelique Kerber, this shoe proves stable and secure when rushing the net, pivoting or quick lateral changes at the baseline. 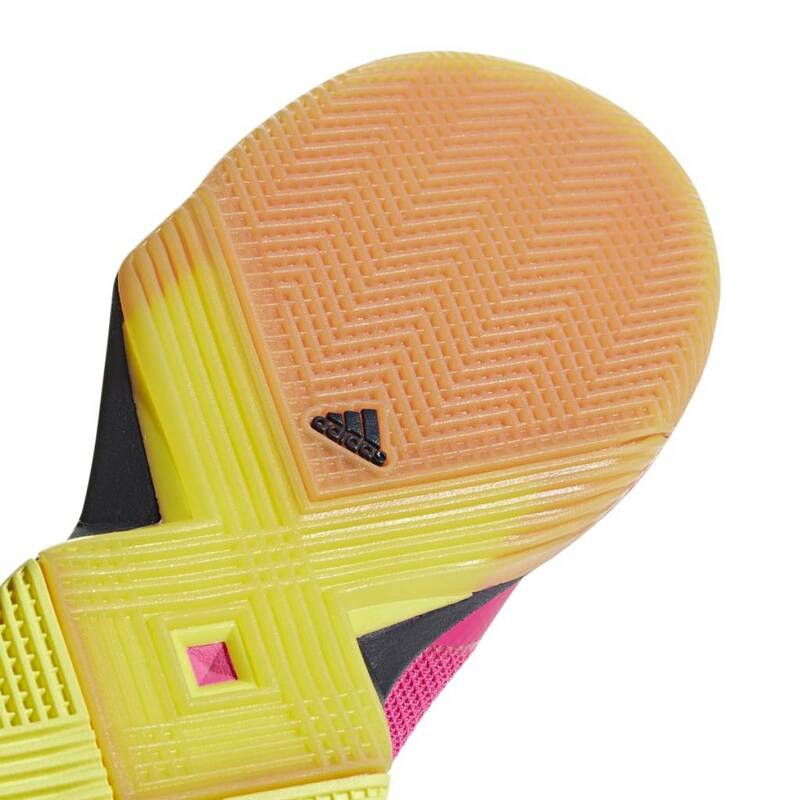 The clay-court outsole comes equipped with the classic herringbone pattern, giving you the traction you need on different kinds of clay. 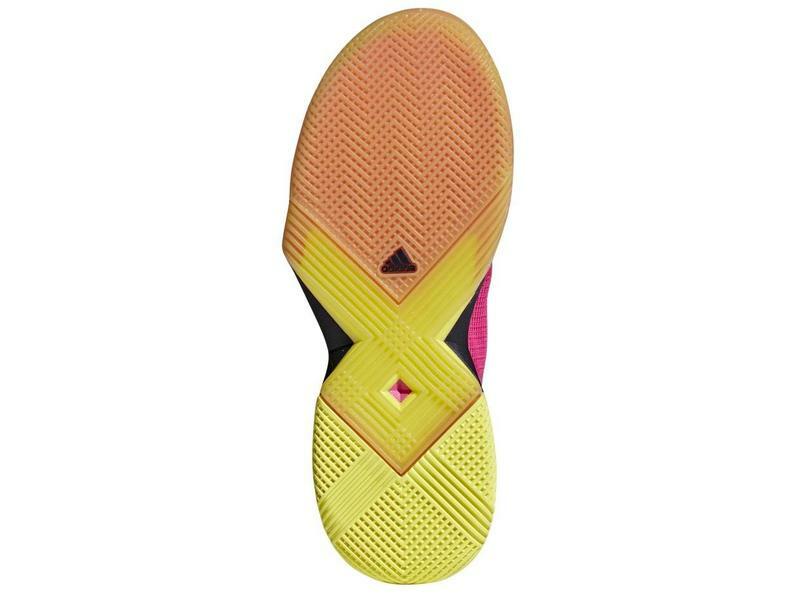 This Ubersonic keeps you stylishly speedy.